If there’s one place that gives me houseplant envy, it’s the conservatory at Biltmore in Asheville, North Carolina. My family and I visited Biltmore last week and I always come home inspired and determined to take better care of my own plants. I hate to admit this, but sometimes I can be a neglectful gardener. I see the many plants around my home and become numb to them. I pass by and don’t take action until I begin to see signs of neglect. 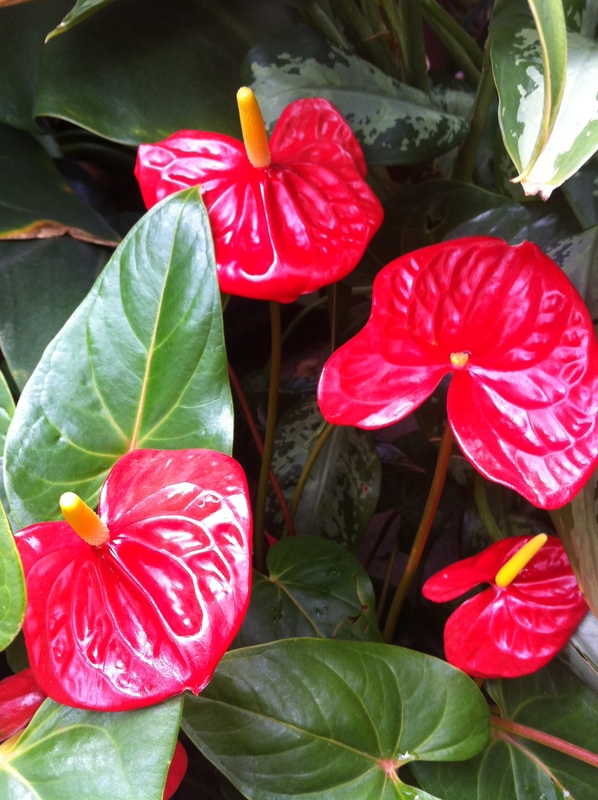 For example, this is one of the leaves on my anthurium. Brown tipped leaves on this type of plant means they’re not getting enough water. I can’t show you the flowers because there aren’t any. I believe that just as God loves people and animals, He feels the same way about plants and the rest of His creation. This is one of Biltmore’s anthuriums. As the weather turns cooler and activity in my outdoor gardens decrease, I hope to be able to turn things around with my indoor garden. 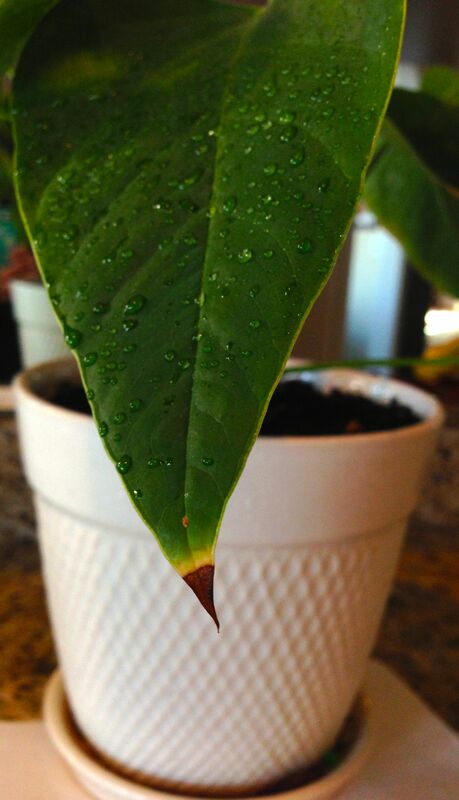 I discovered a great site to help with houseplant care – Houseplant411.com. I love the Popular House Plants page the most; it helps identify plants and gives care instructions. Here’s a gallery of a few of Biltmore’s many houseplants. I hope you enjoy them as much as I do. Walking like Jesus requires an active prayer life – active, and yet hidden. If it weren’t so, Jesus wouldn’t have said it. Jesus’ prayers were simple and secret. He tells us to go into our room, close the door and pray unseen. This is my prayer closet. Don’t judge; I already know it’s a mess. If I could show you the whole thing you’d see it’s even worse, but I’m not trying to show off. I’m trying to show you that you don’t need a fancy place in which to pray, you just need quiet and a door so you can pray undisturbed. Ok, really don’t judge. I know it’s super pathetic but somehow it works, so I’m sticking with it. 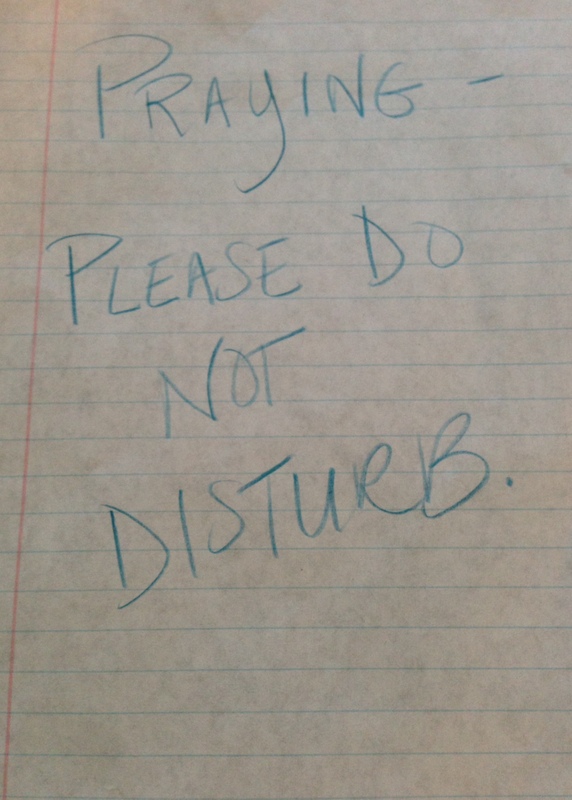 Your turn: Do you have a prayer closet or a way to be unseen and undisturbed? As is obvious by pink ribboned everything, October is Breast Cancer Awareness month. Coincidentally, last week I got a pap test, mammogram, thyroid ultrasound and bone density screening. What does this have to do with the Bible verse above? Do you love yourself? Are we even allowed to do such a thing? Yes! We are God’s glorious handiwork and when we love ourselves, we’re loving Him. If Jesus didn’t mean for us to love ourselves, he would have put a period at the end of neighbor. Part of loving ourselves means we care for the bodies God gave us. We don’t just make important appointments for our elderly parents and children, we treat ourselves with the same level of care. How long has it been since you’ve had a mammogram? How about a pap test? What about a bone density screening or (ugh) a colonoscopy? How about in honor of Breast Cancer awareness month, we commit to making these dreaded appointments and then show some sisterly love by challenging a girlfriend to do the same.